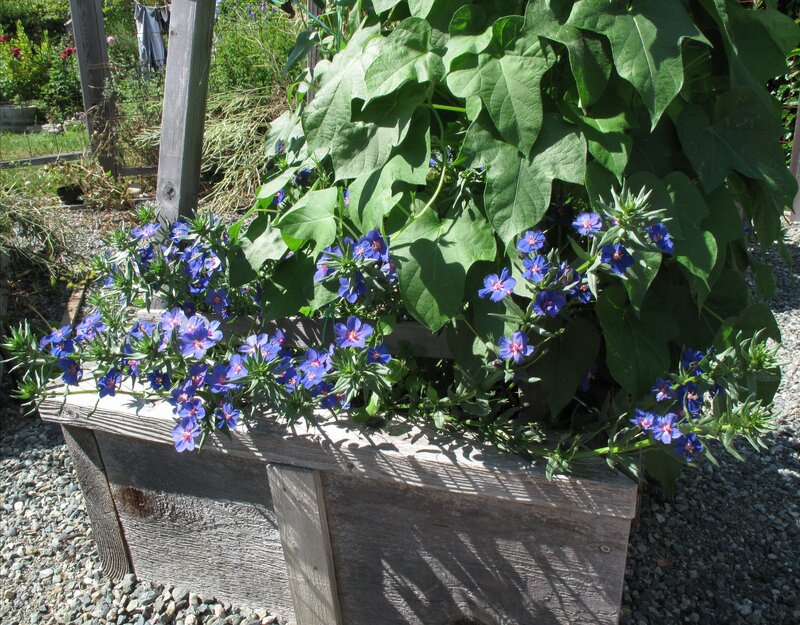 I don’t buy or raise many true annuals, given a relatively mild Puget Sound winter climate. Instead I favor plants in the “Zonal Denial” category, which I try to winter over in my small 8 X14 greenhouse. Others I keep in pots and drag them into a cold garage to protect from the dangerous temps in the mid twenties that sometimes linger for a few days in our generally mild winters. This year I did buy Anagallis monellii ‘Skylover,’ sold on the annual table at my local Vashon Nursery, DIG. Here it is at the bottom of an obelisk I built for the center of our potager/kitchen garden raised beds. Before the two annuals (an Ipomea, whose leaves are above the Pimpernel in the above image) and the Skylover were planted in June, sugar snap peas graced the obelisk. …late Middle English (denoting the great burnet and the salad burnet): from Old French pimpernelle, based on Latin piper ‘pepper’ (because of the resemblance of the burnet’s fruit to a peppercorn). I’m still looking for the Scarlet Pimpernel plant in nurseries around town. I did find the play written by the Baroness Emmuska Orczy at my local library. This entry was posted in Plant Picks and tagged Anagallis monellii 'Skylover', Blue Pimpernel, salad burnet by Bart Arenson. Bookmark the permalink. 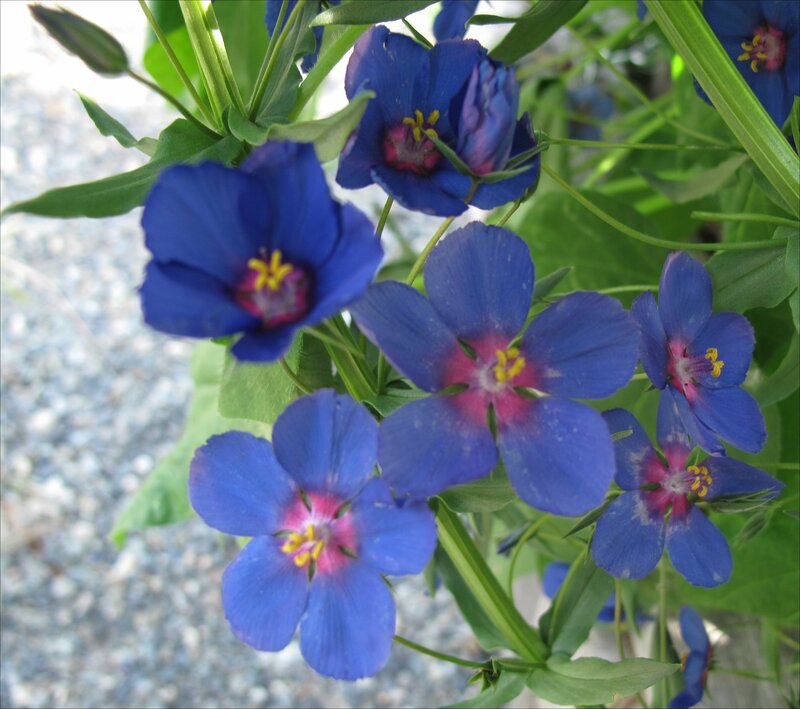 The Blue Pimpernel is gorgeous, I love the rich blue color. I have never seen it for sale around here.